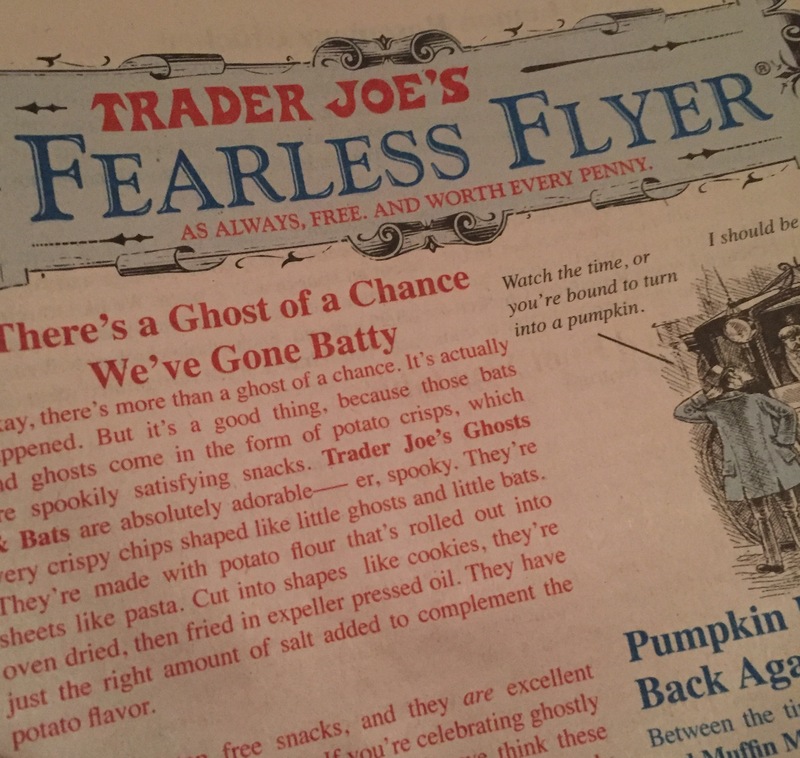 The Trader Joe’s October Flyer arrived yesterday. I get a weird thrill out of reading this each month, mentally filling a shopping basket with frozen Indian entrees, unique cheeses and salted caramel everything. 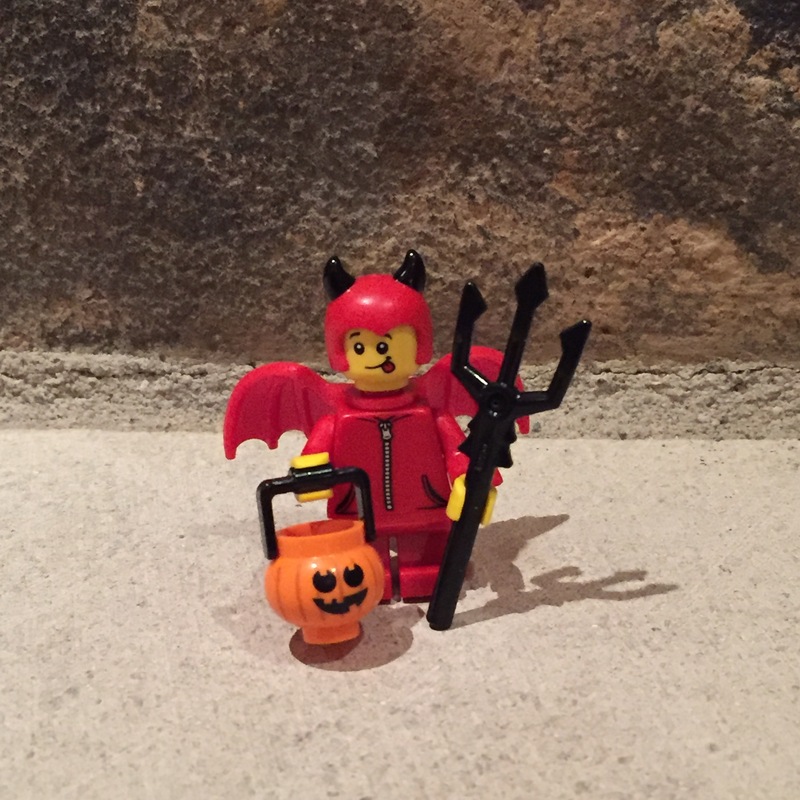 This month TJ’s went on pumpkin overdrive. Really, this is too much. I had to bring a dish to a Forced Family Function (F.F.F.) 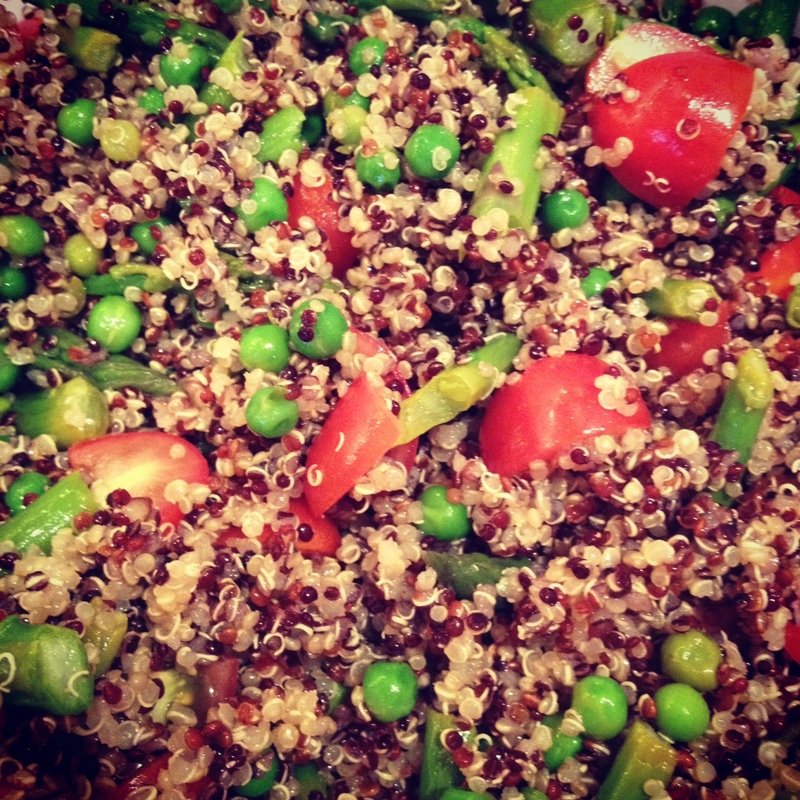 over the weekend, and I decided to counter the usual cheesy/bacony/buttery fare with a healthy quinoa salad. Cook the quinoa according to package directions, except use the vegetable broth instead of water for a more flavorful end product. At the same time, prepare a large put of boiling water and blanche the asparagus pieces and peas. It’s fine to cook them together. Zest the lemon, set aside. Drain the asparagus and peas, then toss them with the olive oil, a generous squeeze of lemon juice, and season with salt and pepper. Combine the quinoa, lemony green vegetables, tomatoes, parsley, lemon zest and feta. Squeeze the rest of the lemon over the whole thing, stir, and taste. You’ll probably want to season a bit more with salt and pepper. Taking care to season the quinoa and the vegetables before mixing everything together really adds to the flavor and cuts the need to use much fat at all. The feta is also a strong note that stands up well. I like this dish to be really lemony, but you can make it to suit your own palate. I thought it was delicious. P.S. Regardless of my opinion, this was a decided failure at the F.F.F. A few people politely tasted it, one proudly declared she’d “never even heard of qui-no-ah,” and I ended up bringing most of it back home, which was fine by me.